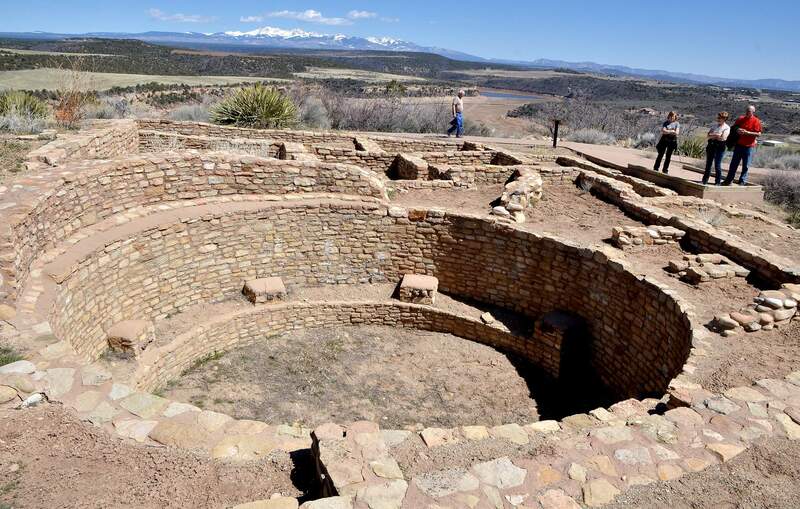 Escalante Pueblo, overlooking the Dolores Valley and McPhee Reservoir, is one of thousands in the region occupied by Ancestral Puebloans more than 900 years ago. Native American tribal leaders with ancestral ties to the region will conduct a reburial ceremony for ancient human remains found near Dolores on the San Juan National Forest, officials say. Erosion caused by drought revealed human bones that were discovered by a hiker last week, according to a Montezuma County Sheriff’s Office report. A missing person or crime was ruled out, said Montezuma County Coroner George Deavers. Based on visible evidence, including associated artifacts, the remains were estimated to be prehistoric. They are likely from the Pueblo II period, AD 950-1100. “There is a lot of Native American history in this area, and we get these cases from time to time,” Deavers said. Because the ancient remains were found near an area visited by the public, they were collected and are being overseen by the San Juan National Forest. Analysis was conducted by archaeologists to confirm the prehistoric status, said Dolores District Ranger Derek Padilla. No photographs or extensive research was conducted, and the spot where the remains were found will remain confidential. A consultation process has begun with 25 tribes that have ancestral connections to the area, including Hopi, Ute, Zuni, Navajo, Acoma and Rio Grande Pueblos. Incidental discovery of ancient human remains falls under the protocol of the Native American Graves and Repatriation Act, said Ernest House Jr., executive director of the Colorado Commission of Indian Affairs. NAGPRA was enacted federally in 1990 out of respect for native tribes, House said, in order to protect ownership of their burials, sacred artifacts and funerary objects. Colorado also has robust regulations to protect ancient Native American burials on state and private lands, he said. Since 1990, 860 individuals and 2,103 associated funerary objects have been returned to tribes, House said. Of those, 126 individuals were repatriated to tribes under state regulations. Throughout the state, there are 12 to 15 cases per year involving incidental uncovering of ancient human remains or funerary objects, which triggers NAGPRA and related state protocols, House said. Cases are increasing because of increased construction activity from population growth, he said. Often, tribal leaders make the decision to rebury the discovered remains on-site, but if they are found near public areas such as a trail, they are usually removed for reburial nearby. Drought, wildfires, and flooding can also expose ancient burials, House said. Ancient remains are sometimes discovered during estate sales as well. 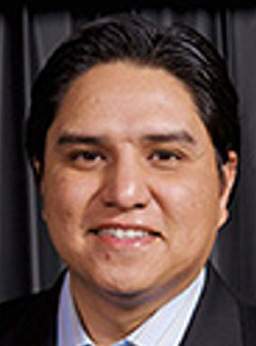 “Tribes have been adamant that they do not want remains of their ancestors stored in boxes on a shelf, so we have a good working relationship and system of repatriation so tribes take the lead on the appropriate action,” House said. Reburials have taken place on San Juan National Forest lands and at Mesa Verde National Park. Federal land officials work with tribes on the location and help prep the site, then leave so tribal leaders can conduct traditional ceremonies. House emphasized the importance of public education and respectful action when ancient remains are discovered. Local law enforcement should be contacted immediately. Do not disturb, photograph, or remove the remains and artifacts, House said. If it is a construction site, all work should cease to allow for an investigation.